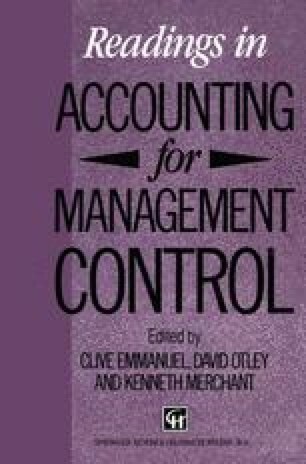 Managerial accounting contains a technical theory of control. Whenever this technical theory of control is correctly implemented to deal with issues that are embarrassing or threatening, the players activate their personal-human theory of control in order to remain ‘in control’. The correct implementation of the personal-human theory of control necessary inhibits the effective implementation of the technical theory and vice versa.